Thank you to the many local historians, activists, and leaders, who freely shared their knowledge, gave support, and made this paper possible. After Redding’s red-light district was rebuilt following the fire of September 1908, things continued much as they had in previous years. There were attempts to regulate the saloons and occasional attempts to close down the cribs and bordellos, but not much came of it. 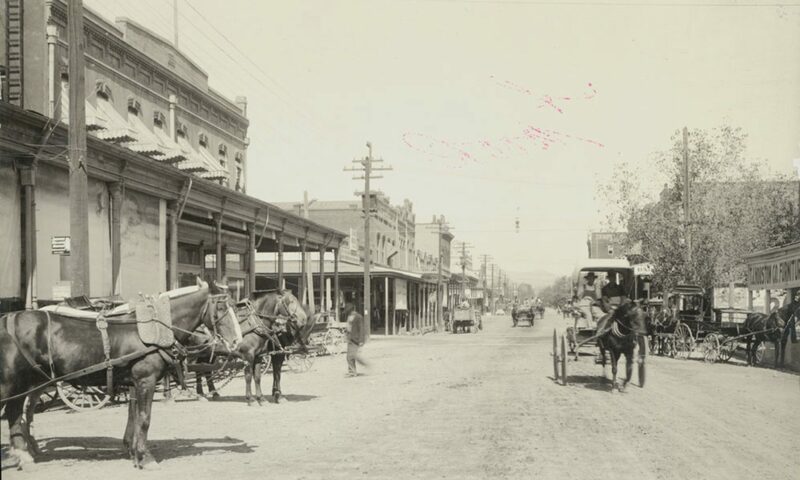 In 1914, the people of California passed the Red Light Abatement Act by ballot measure, but Redding’s red-light district continued merrily along, occasionally closing briefly under state or local pressure, but rarely for long. In 1919, the 18th Amendment was ratified, and prohibition went into effect in January of the following year. It was about as effective locally as Red Light Abatement Act. In July 1927, the little two-story building made the front page of both of the local daily papers for a Volstead Act violation [2. Courier-Free Press, 8 July 1927] [3. Searchlight, 8 July 1927]. According the articles, the building was occupied by a man named George Peck and his wife or housekeeper (accounts vary) and, according to the Searchlight, the building was operating as a blind pig [4. Ibid]. Two local law enforcement officers had obtained a search warrant and knocked on the door. When Peck saw the officers, he called “just a minute” and secured the heavy chain on the door. The history of the latest building threatened with demolition in Redding goes back to September 23, 1908, when a massive fire swept Redding’s red-light district, causing $70,000 in damages [1. Courier-Free Press, 24 September 1908] . Several blocks of buildings were leveled, among them warehouses, breweries, saloons, hotels, and a group of “ramshackle crib buildings” that were the property of Freitas and Chadwick [2. Searchlight, 25 September 1908]. These ramshackle cribs dated back to 1900, when the area outlined in red in the adjacent picture, known as Block 13 on Redding’s original plat, was removed from Redding’s fire district following a petition to the city board of trustees by Frank Chadwick. [3. Searchlight, 5 June 1900] Soon afterwards, it was announced that the existing red-light district and its inhabitants would be relocated from their location on the alley of the block bordered by California, Market, Shasta, and North Streets to tenements hastily constructed on Center Street [4. Searchlight, 6 July 1900]. Less than three week later, a mysterious fire leveled The Alley [5. Courier-Free Press 26 July 1900] and the few “dressmakers” that weren’t burnt out were forced to move by the city attorney [6. Searchlight, 1 Aug 1900]. Although accusations of arson and slander flew fast and furious, and property owners adjacent to the new cribs on Center Street initially objected, this arrangement continued until the fire of September 1908. This is not exactly the note we wanted to begin on, but we think it is important to discuss that yet another historic building in Downtown Redding is threatened with demolition. The latest structure to be menaced by the wrecking ball is the Bell Rooms building, a 107-year-old, two-story brick building located on the southwest corner of Shasta and California Street. The building is part of a small complex of newer buildings that includes a cinderblock addition and a row of auto repair bays directly south. These buildings were most recently home to Bing Automotive, B&R Radiator Service, and American Lock and Key. The two-story building dates back to the fall of 1908, making it one of the oldest surviving commercial buildings in Redding—older than the Cascade Theater, Redding Hotel, Pine Street School, the downtown post office, downtown fire house, and veterans’ memorial hall. Over the years, this building has been slightly modified from its original appearance—some of the windows have been partially or entirely bricked up and it originally had a peaked roof, porch, as well as a two-story balcony; but underneath the drab paint is some beautiful locally manufactured brick. The interior, by several accounts, is surprisingly intact.